The Colony of Vancouver Island (officially known as the Island of Vancouver and its Dependencies), was a crown colony of British North America from 1849 to 1866, after which it was united with the mainland to form the Colony of British Columbia. The united colony joined the Dominion of Canada through Confederation in 1871. The colony comprised Vancouver Island and the Gulf Islands of the Strait of Georgia. Captain James Cook was the first European to set foot on the Island at Nootka Sound in 1778, claiming the territory for Great Britain. Fourteen years later, under the provisions of the Nootka Convention, Spain ceded its claims to Vancouver Island and the adjoining islands (including the Gulf Islands). It was not until 1843, however, that Britain — under the auspices of the Hudson's Bay Company (HBC) — established a settlement on Vancouver Island. The settlement was in the form of a fur trading post originally named Fort Albert (afterward Fort Victoria). The fort was located at the Songhees settlement of Camosack (Camosun), 200 metres northwest of the present-day Empress Hotel on Victoria's Inner Harbour. With the signing of the Treaty of Washington in 1846, the mainland of Oregon Territory below the 49th parallel became American territory. Thus in 1849, HBC moved its western headquarters from Fort Vancouver on the Columbia River (present day Vancouver, Washington) to Fort Victoria. Chief Factor James Douglas, was relocated from Fort Vancouver to Fort Victoria to oversee the Company's operations west of the Rockies. This development prompted the British colonial office to designate the territory a crown colony on January 13, 1849. The colony was immediately leased to the HBC for a ten-year period, and Douglas was charged with encouraging British settlement. Richard Blanshard was named the colony's governor. Blanshard discovered that the hold of the HBC over the affairs of the new colony was all but absolute, and that it was Douglas who held all practical authority in the territory. There was no civil service, no police, no militia, and virtually every British colonist was an employee of the HBC. Frustrated, Blanshard abandoned his post a year later, returning to England. 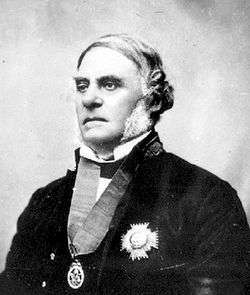 In 1851, his resignation was finalized, and the colonial office appointed Douglas as governor. Douglas's situation as both the local chief executive of the Hudson's Bay Company (HBC) as well as the civil governor of the colony from whom the company had leased all rights, was barely tenable from the outset. Initially, Douglas performed the delicate balancing act well, raising a domestic militia and encouraging settlement. By the mid-1850s, the colony's non-aboriginal population was approaching 500, and sawmill and coal mining operations had been established at Fort Nanaimo and Fort Rupert (near present-day Port Hardy). Douglas also assisted the British government in establishing a naval base at present-day Esquimalt to check Russian and American expansionism. Douglas's efforts at encouraging settlement were hampered by colonial officials in London, who kept land prices high in order to encourage the emigration of wealthier Britons, who were given incentives to bring out labourers with them to work the landholdings. The result was that emigration was slow, and the landless labourers frequently fled the colony either to obtain free land grants in the United States, or work the newly discovered goldfields of California. A secondary result was the replication of the British class system, with the attendant resistance to non-parochial education, land reform, and representative government. At the time of the establishment of the colony, Vancouver Island had a large and varied First Nations population of upwards of 30,000. Douglas completed fourteen separate treaties with the various nations, or tribes. Under the terms of these treaties, known today as the Douglas Treaties, the nations were obliged to surrender title to all land within a designated area, with the exception of villages and cultivated areas, in perpetuity. They were also given permission to hunt and fish over unoccupied territories. For these concessions, the nations were given a one-time cash payment of a few shillings each. As settlement accelerated, resentment towards the HBC's monopoly — both economic and civil — over the colony swelled. A series of petitions were sent to the colonial office, one of which resulted in the establishment of the Legislative Assembly of Vancouver Island in 1855. At first, little changed, given that only a few dozen men met the voting requirement of holding twenty or more acres. Moreover, the majority of the representatives were employees of the HBC. However, as time went on, the franchise was gradually extended, and the assembly began to assert demands for more control over colonial affairs and criticized Douglas's inherent conflict of interest. By 1857, Americans and British colonists were beginning to respond to rumours of gold in the Thompson River area. Almost overnight, some ten to twenty thousand men moved into the interior of New Caledonia (mainland British Columbia), and Victoria was transformed into a tent-city of prospectors, merchants, land-agents, and speculators. Douglas — who had no legal authority over New Caledonia — stationed a gunboat at the entrance of the Fraser River in order to exert British authority by collecting licences from boats attempting to make their way upstream. In order to exert its legal authority, and undercut any HBC claims to the resource wealth of the mainland, the district was converted to a crown colony on August 2, 1858, and given the name British Columbia. Douglas was offered the governorship of the new colony, on condition that he sever his relationship with the HBC. Douglas accepted these conditions, and a knighthood, and for the next six years would govern both colonies from Victoria. The remainder of Douglas's term as Vancouver Island governor was marked by increased expansion of the economy and settlement, and greater agitation for both union of the two colonies and for the introduction of fully responsible government. It was also marked by occasional boundary disputes with the United States, the most significant of which was the San Juan Boundary Dispute in 1859. This resulted in a sometimes tense, twelve-year military standoff as the two countries garrisoned troops on San Juan Island. There was a second gold rush — the Cariboo Gold Rush — and again Victoria experienced an economic boom as the staging point for the prospectors. The increased conflicts between Douglas and the reformers, such as Amor De Cosmos, along with the growing desire of colonists in British Columbia to have a resident governor in their capital of New Westminster resulted in the colonial office easing Douglas into retirement in 1864. Douglas was succeeded as governor by Sir Arthur Edward Kennedy, a career colonial administrator who had previously served as governor of Sierra Leone and Western Australia. While there was popular acclaim for the appointment of a governor free from ties with the HBC, Kennedy was initially met with suspicion and opposition by the colonial assembly, which feared the loss of Vancouver Island's status vis-à-vis the growing power of the mainland colony. It resisted the colonial office's request for the permanent appropriation for the civil list in return for control of the extensive crown lands of the colony, and temporarily withheld salary and housing to Kennedy until they had achieved their aim. Kennedy met with further opposition by some in the assembly over the plan for the colony to unite with British Columbia. It was only when opponents were persuaded that such union would boost the colony's ailing economy that passage of the proposal was assured by the assembly. Meanwhile, Kennedy had achieved some progress in breaking down the longstanding social barriers established over years of HBC hegemony. In 1865, the Common Schools Act funded public education; and Kennedy reformed the civil service, introduced auditing of the colonial budget, and improved revenue collection. Nonetheless, he continued to fail in his efforts to persuade the assembly to introduce the vote of a civil list, as well as enforcing various measures to protect the rights and well-being of the increasingly pressured aboriginal population. Despite his sympathy for the plight of neighbouring Indian peoples, Kennedy authorised naval bombardment of the Ahousahts of Clayoquot Sound in 1864 in reprisal for the murder of the crew of a trading vessel. Nine Ahousaht villages were destroyed, and thirteen people killed. With the colony's budget collapsing by 1865, and the assembly unwilling and unable to introduce proposals for raising revenue, Kennedy was barely able to keep the administration afloat until the union of Vancouver Island and British Columbia in October, 1866. 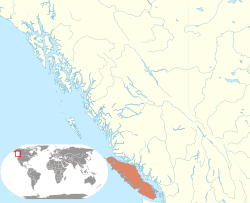 With that, Vancouver Island ceased to exist as a separate colony, becoming part of the United Colonies of Vancouver Island and British Columbia. The capital of the united colony would be Victoria.